Ryanair has declined to confirm how many flights were cancelled, delayed or disrupted in Portugal today due to a second 24-hour stoppage by cabin crew. The Portuguese cabin crew union SNPVAC told RTÉ News that the strike over working conditions led to five cancellations in Porto, four in Faro and four in Lisbon. Asked about these figures and how many staff had gone on strike, Ryanair said the "vast majority" of their Portuguese crews were working normally this morning. The airline said a "small number" of first wave flights from Portugal were cancelled or suffered minor disruptions, but that these customers were being re-accommodated onto other flights. 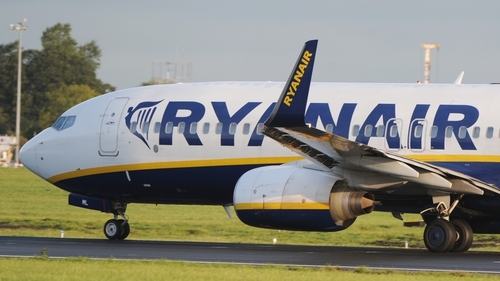 The Portuguese cabin crew union has claimed that Ryanair management warned some cabin crews outside Portugal that they would be in breach of their employment contracts if they refused to operate Portuguese flights, and could face disciplinary measures. Ryanair declined to answer queries about how many cabin crew were re-deployed from other countries to operate flights disrupted by the strike, or how many might face disciplinary action for refusing to do so. The airline said it did not comment on "false union claims, rumour or speculation". Ryanair's Portuguese cabin crew will strike again on Wednesday.